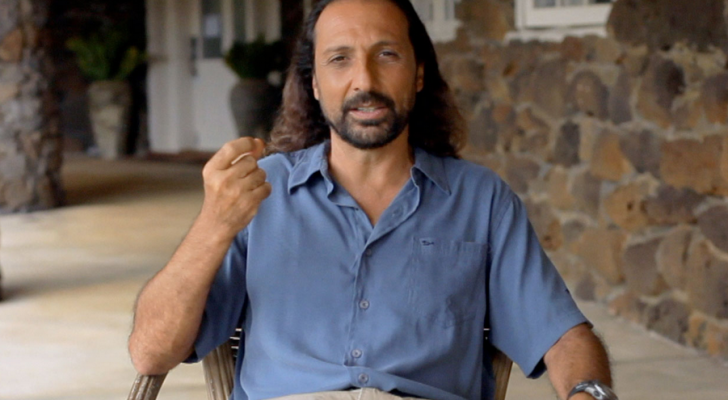 New Worldview: What Are We To Make Of Nassim Haramein? In the comments that followed I was accused of being closed-minded toward these ideas, because I simply asked that the formulas and equations Nassim uses as the basis of his theories be substantiated by a qualified mathematician or physicist. My desire for substantiation is important because only in this way can we begin to unify what we classify as science and religion into what I have often written about as “Sacred Science” – a science in awe of the mystery of Being. The absence of this sense of sacred has reduced science to what some call “Scientism” – a religion which worships data without context. Needleman draws a wonderful distinction between information (which we worship as science) and truth (for which we may look to religion or deeper inspiration for answers). He describes the hubris of a surgeon who, in describing a function of the human body, refers to it as a “mistake” – as though he knows better than nature. This is of course the same issue that is currently arising in genetics with what is called “junk DNA,” and even with consciousness – what we don’t know (factually) we dismiss as either unknowable or irrelevant. “Scientism” is the dismissal by science of this issue and its pretense at an objective perspective – an issue that Nassim, Barnet, and Freeman rightly raise. Needleman describes his reaction at seeing the image that serves as the cover of “A Sense of the Cosmos” when he walked by a newsstand and saw it on the cover of National Geographic. It is ostensibly a picture of a group of stars, but after looking more closely, Needleman describes his profound sense of awe when he realized that this image of deep space, taken by the Hubble Telescope, revealed the presence of billions and billions of galaxies. It stopped his scientific brain cold – there were no answers possible without a more expansive context for the experience and a reverence for the mystery. Another writer that I admire who delves into this area is Dr. Robert Lanza, whose theory of Biocentrism is essentially a theory of Biological Relativity. Simply stated, his theory notes that all knowledge is dependent upon the sensory capacity of the being doing the investigation, and that we as humans take our “objective” perspective in this regard for granted, without recognizing that everything is being seen through the lens of consciousness. This is the basis of the Science and Nonduality Conference (SAND) as well, where neuroscientists, physicists, and philosophers discuss these important issues. As I’ve mentioned many times, Dr. Jay Kumar (a presenter at SAND) looks at our perceptional capabilities – of the electromagnetic spectrum, with the recognition that what we can perceive (even with the best instruments) is just a tiny fraction of what may be “out there.” This has led for a call for what some have referred to as an observer-based science taking into account the unity of of the perceiver and the perceived. To me the mystery of accepting the reality of consciousness as a “veil” through which we perceive is at the root of what might qualify as a sacred science. Why do I think this is a “problem” – as Barnet asked me? Well for one thing, would you rather fly in an airplane that is aesthetically beautiful or one that adheres to the to the mathematical principles of aeronautics? Without doubt the issue of consciousness is of another order entirely. But if we are truly to heal the rift between science and religion and begin to address the questions that heretofore only religion has deigned to pose, and try to answer them “scientifically” – perhaps Biocentrically (if that’s a word), we need to be a bit rigorous. Nassim is charming, charismatic, and convincing, and his graphics are beautiful. I also happen to believe fervently that ancient sacred geometry and mathematical constants like Pi and Phi (the Fibonacci sequence expressed in nature) are powerful pointers to real objective truth about consciousness. Pi, for example is not 22/9 or 22/5 or 22/7 (3.1416). The beauty and power of Pi is that in any two-dimensional space it is the exact proportion between the radius and the circumference of a circle. Much of this territory was also covered in the wonderful film, “What the Bleep,” which mentioned (among other things) the Heisenberg Uncertainty Principle and the primacy of consciousness, all of which lead many to conclude that “we create our own reality,” to the point where if you think about a Mercedes one is certain to appear in your driveway. The “we create our reality” takeaway from “What the Bleep” is an oversimplification, and for Nassim’s work to be profound enough to actually heal the rift between science and religion (which I think an investigation into sacred geometry, ancient monuments, and mathematics can accomplish) the math needs to add up. Again this is not an attack on his work. If anything it is a cry to take his work seriously. I love the “beauty and the geometry” and I fervently agree that “Life is Intelligent” (infinitely), but I do not want the poetry to be taken as the basis for what is verifiable through experience. Let me give you an example – when geneticist Juan Enriquez describes an apple as a computer application and his hypothesis is backed up by the genetic sequencing of supercomputers and experimentation – that is a profound opening to me of a vastly higher intelligence such as what Nassim describes. And it works – decoded DNA shows clearly that Life operates intelligently. Does Nassim’s work measure up to the same level of scrutiny? And as Barnet asks, if it doesn’t – is it a problem? Let the reader draw his or her own conclusions.